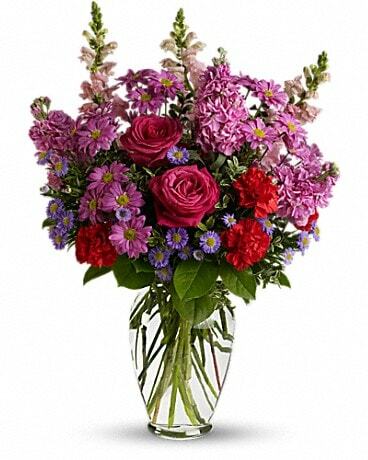 This colorful vase arrangement includes roses, carnations, snapdragons, stock, and daisy chrysanthemums designed in a clear glass vase. Also available in larger sizes at $124.95 & $149.95. Please call for larger sizes or other available color selections (713) 461-1138.